The former Masonic Hall was constructed in View Street, Bendigo in 1873-1874 for both public and private use. Designed by prolific Bendigo architects, Vahland and Getzschmann, the building contained lodge rooms, a public tavern and a concert hall, and in 1889-90 the same architects designed additions to the building, which included converting the concert hall to a theatre. The Golden Lodge of Sandhurst was established as the first Masonic lodge in Bendigo in 1854, the year the town centre was laid out. Other lodges were subsequently formed in Bendigo and membership grew through the 1860s, resulting in the Golden and Corinthian Lodges purchasing two blocks of land in a prominent position in View Street in 1866 with the intention of erecting a new temple. The two lodges amalgamated in 1872 and subsequently appointed architects to design their new building, at a time when Bendigo was developing into a substantial city. Extensive quartz mining from the late 1850s provided Bendigo with a firm economic base and resulted in the construction of large numbers of impressive buildings, particularly in View Street and Pall Mall. The former Masonic Hall is an imposing cement rendered building, set on a stone base, and designed in a Renaissance Revival style. 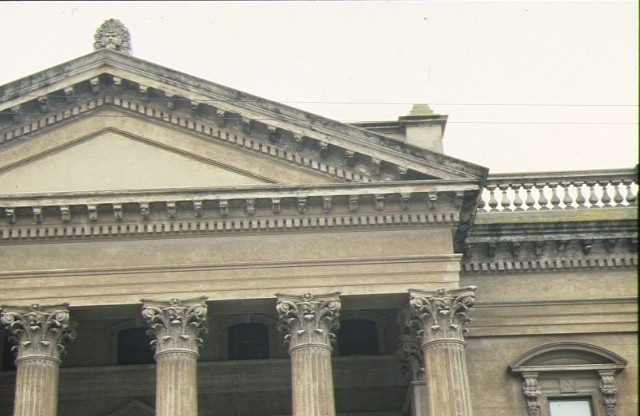 Decoration is confined to the front facade which is dominated by a giant Corinthian portico. A flight of stairs leads to this pedimented portico, and single bay wings flank the central section, which is recessed behind the portico and rusticated at the lower level. The protruding side wings are defined by corner Corinthian pilasters and a balustraded parapet above and contain quoined arch-headed windows at ground level and rectangular windows with segmental pediments above. The building itself was divided into a private and a public section, the latter including a tavern at ground level and a concert hall above. Separate entrances from the front portico were provided for private and public use. The Masonic section occupied the northern side of the building at ground floor level and included a lodge room at the rear, a library and reading room, and other affiliated rooms. Walls of the entry hall and lodge room were decorated with classical columns and panels ornamented with Masonic emblems. The tavern, which became known as the Masonic Hotel, occupied the basement and the ground floor of the southern side of the building and included a sitting room, parlours, billiard room, bedrooms, kitchen, cellars and servants' rooms. It appears that two public entrances were provided for this section, one directly from street level into the basement, the other from the public entry hall. The upper level of the building contained a large hall with balcony at the north end and removable stage at the south end. It was an exceptionally large hall, believed to be the largest in Victoria at the time of construction, with the exception of the Melbourne Town Hall. Elaborately decorated with Masonic emblems, this hall was used for Masonic purposes as well as being available to the wider community for social events. The popularity of the hall resulted in the enlargement of the building in 1889-90 to a design by Vahland and Getzschmann. A brick extension was constructed to the north of the building, incorporating a right of way to allow for access for fire fighting vehicles to the rear of the adjacent fire station. At first floor level the hall was extended with new proscenium and stage with storage under. This Masonic Hall Theatre, opened in April 1890, providing a venue for light drama and concerts. It was subsequently used as a cinema, with films shown from at least 1909. The space was leased by West's Pictures in 1912 and renamed The New Britannia, then the Capitol Theatre c.1930 (later the Capital Theatre). The hotel closed in the early 1920s after its liquor licence was cancelled and the spaces were leased for various purposes. Alterations were made to the building in the twentieth century. In the late 1920s Masonic rooms on the ground floor were transformed into one space, forming a lower hall, which was used as a dance venue. By 1952, the Capital Theatre was converted back to a live theatre, and it was in use until closure in 1977, due to fire risk. The Lodge relocated to a new building in 1983. The building and the adjacent former fire station, were sold to three local councils, Strathfieldsaye, Eaglehawk and Marong in 1987 for development into an arts centre. 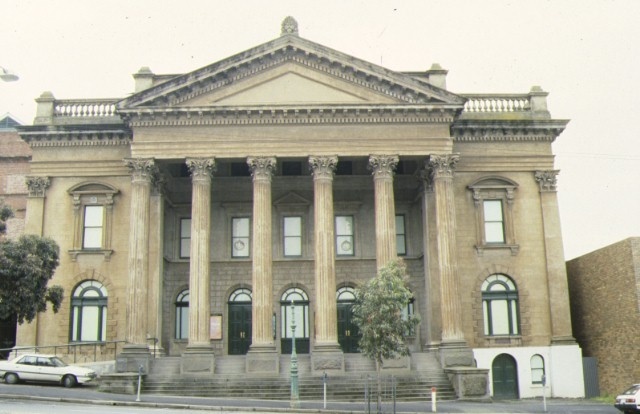 The former Masonic Hall, Bendigo is of architectural and historical significance to the State of Victoria. The former Masonic Hall, Bendigo is of historical significance due to its associations with freemasonry, which played a long and important role in the cultural life in Victorian towns. The large and impressive building is illustrative of the strength of the freemason community in Bendigo and the importance it played in the development of the goldfields town from its early establishment in 1854. The Hall provided a focus for their activities and made a statement about their influence and role in the community. It is also significant for the important role it played in the wider community as a venue for a variety of activities, from its construction in 1874, through to the present day. Alterations from the 1890s onwards have emphasised public use in this centrally located building, accommodating various forms of entertainment. 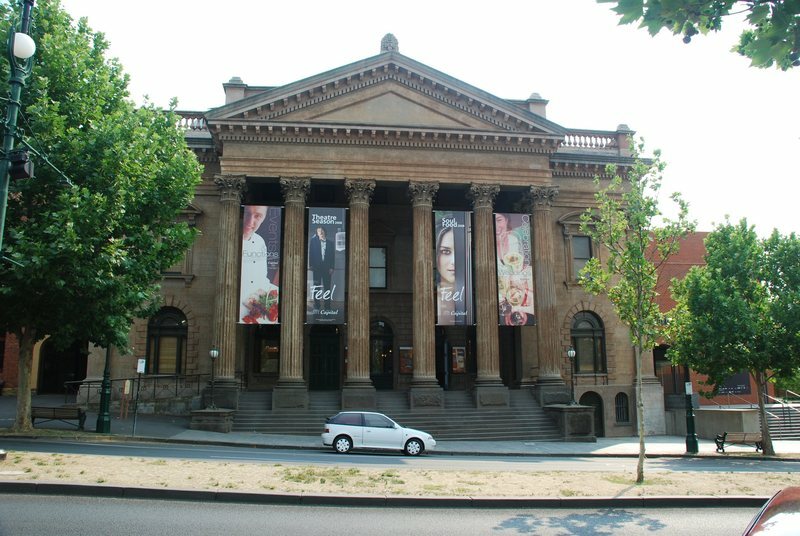 The former Masonic Hall, Bendigo is of architectural significance as an outstanding example of the large scale application of the Corinthian order to the classical temple form. The imposing front facade is unsurpassed in a building of this type in Victoria. The adoption of a temple form for Masonic buildings is illustrative of the ideals of the freemasons and this is a particularly well executed example, heightened by the use of allegorical references to freemasonry in the interior detailing. It has architectural significance as an important and largely intact example of the work of Bendigo architects, Vahland and Getzschmann, who were both members of the lodge and architects who executed a large number of buildings in the Bendigo area. As one of the founding members of the Golden and Corinthian Masonic Lodge in Bendigo, secretary of the lodge for forty-seven years and Past Deputy Grand Master in 1861, Vahland?s close association with freemasonry in Bendigo is of significance as architect of the building. Together with a wide range of buildings designed by this firm, the Masonic Hall stands as an important example of their work. The building contributes to the streetscape of View Street, one of the finest precincts of nineteenth century buildings in Victoria. City of Bendigo. No. 119. Masonic Hall,50-56 View Street, Bendigo.